When traveling, I’m generally all for cheap eats. It’s often the tastiest food around, and works with the budget. 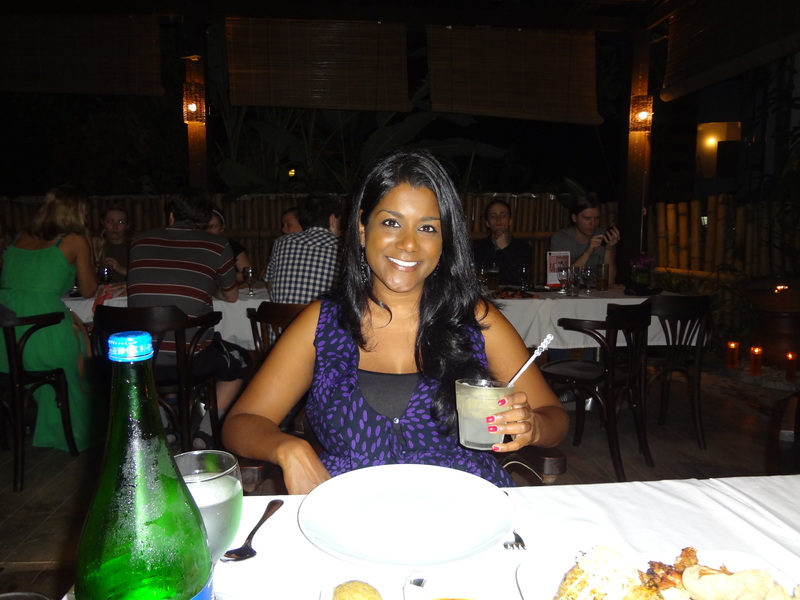 However, after some questionable street-side biriyani the night before, I wanted to go somewhere a bit more reliable! 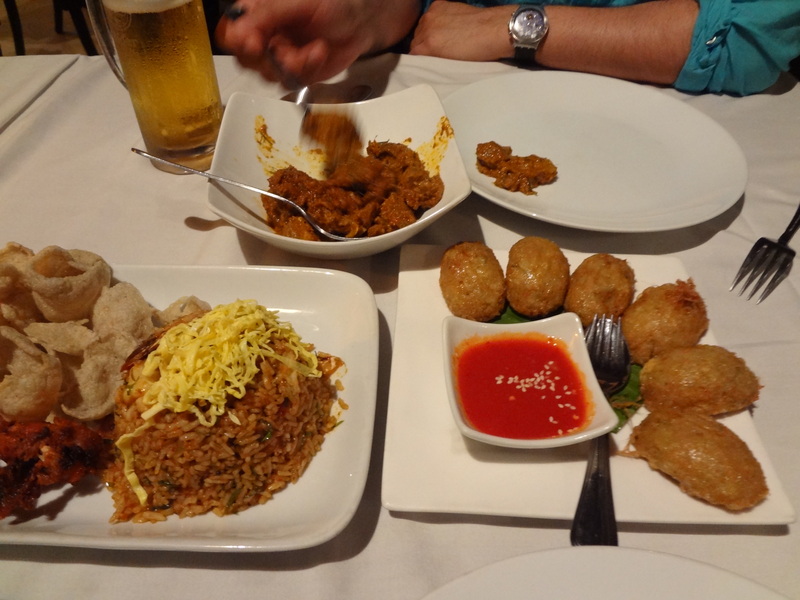 To change things up, we went with a Tripadvisor pick, Bijan, for Indian fusion cuisine. This is the first place I’ve been during my entire trip where I was asked if I had a reservation (I didn’t), but despite the packed restaurant, they seated us quickly. It didn’t disappoint! Everything was delicious, and pretty affordable as well. Next, we went to SkyBar. 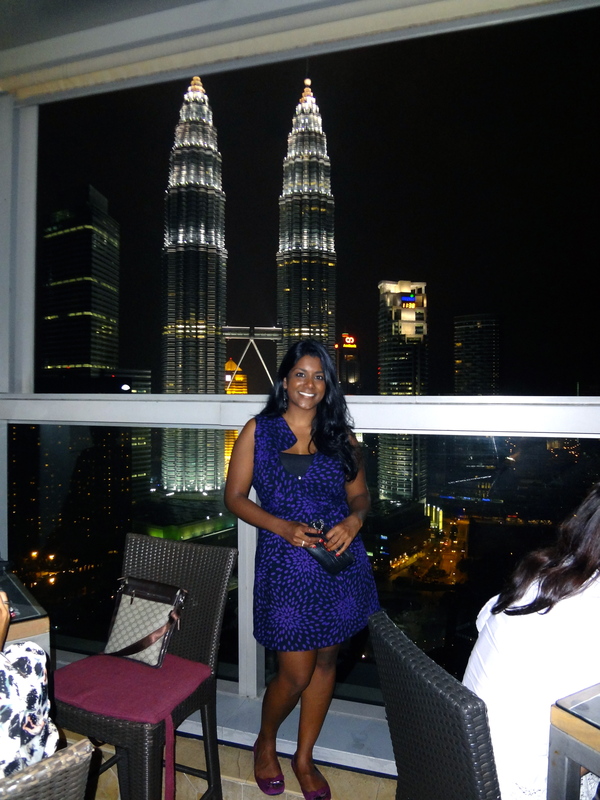 Located on the 33rd floor of the Traders Hotel, this bar offers breathtaking views of the Petronas Towers. On this particular night, the party was in full effect, and this place was hoppin. We had a wait (horrors!) for a table, but it was worth it for the view. 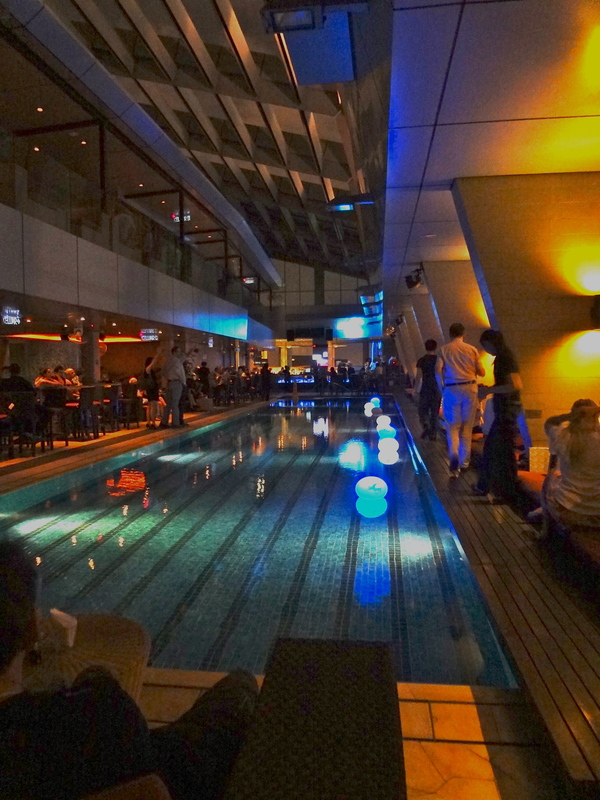 Cool ambiance, great music, a fun crowd, and even a pool! 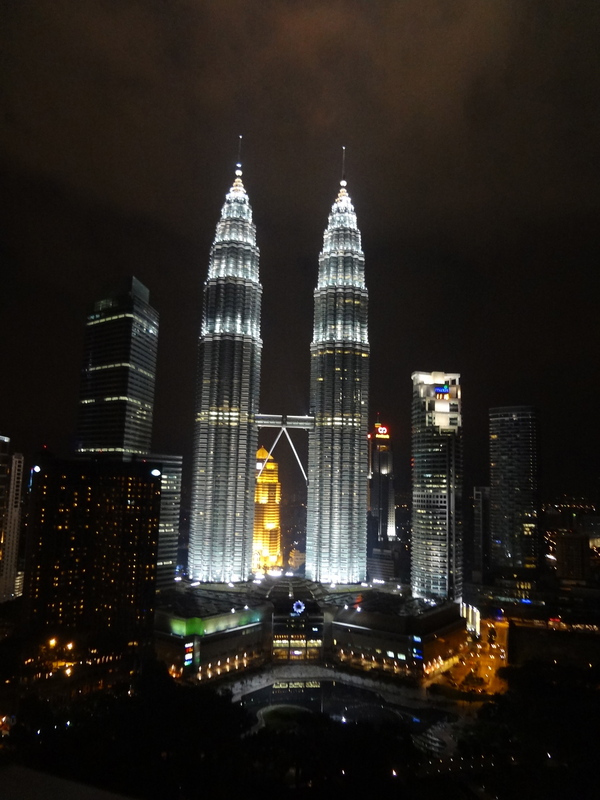 A great way to end my stay in Malaysia. Next up, Vietnam!